In the latest episode of our podcast, we interview Ely Rodriguez from Ruthworks SF. 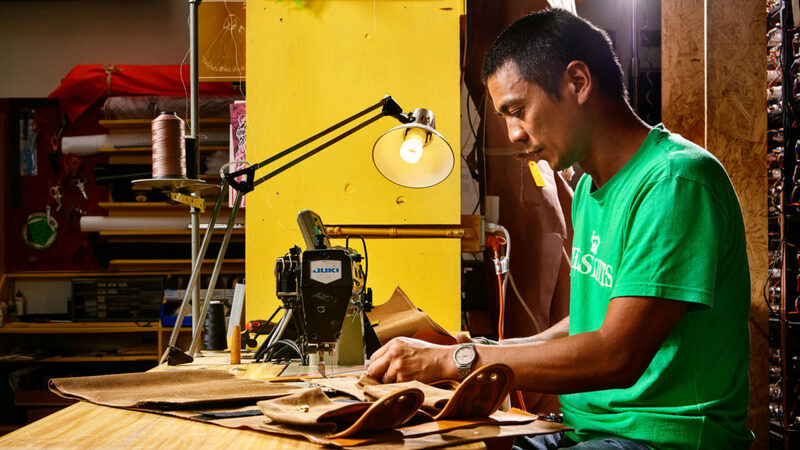 Well known for his randonneur bags, we talk about how he got stated, when he made the leap full time, if randonneuring is going to be the next big thing and what caught his eye at NAHBS. If you are a bike nerd you will enjoy this episode. Listen to it now on Podbean or iTunes. Good post. Randonneuring is indeed a really big thing in cycling, at least among cyclists in India. I am sure, there would be numerous cyclists across the world you are targeting Paris-Brest-Paris, London-Edinburgh-London, Boston-Montreal-Boston and several such brevets. Wishing good luck to Ruthworks SF and PLP!